Mathseeds Online Course and Website. 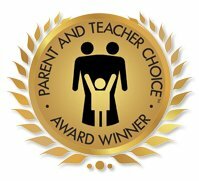 Mathseeds is in the class of best in personalized learning and The Parent and Teacher Choice Team loves it! Kids in grades K-2, begin the online course exactly where they are, and receive encouragement to progress all the way through the program at their own pace. The program we evaluated is specifically for schools. When students get something right they are celebrated with music and more awards, and when a problem is incorrect, they are taught specifically, and in a non-judgmental way how to fix it. Once they have completed a section, they need to pass several portions in order to move on to the next level. We love the driving fun at the end of the modules! Wow – if we were only kids again! What a great way to learn. There is guided and independent practice, critical thinking, and motivation built right into the course. Six core areas are assessed at each level and of course, for you parent teachers, and school teachers out there, the entire Math Seeds Program meets all written test standards! Way to go Mathseeds!